Naomi Braswell, age 79. Sunrise May 15, 1935 in Tallahassee, FL and Sunset December 10, 2014 at Edgewood Manor in Westerville, OH. Naomi was a member of United Bible Missionary Church. She was a foster parent for several years and was very well known and respected in the community. Naomi was preceded in death by her parents Elijah and Maggie Greene Williams, husband Eddie Lee Braswell Sr., son Kevin S. Braswell, and sister Lora Greene. 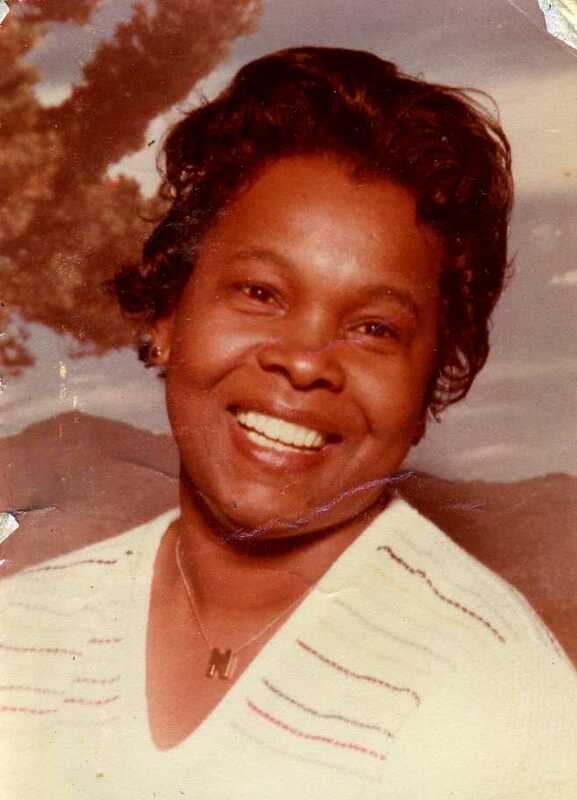 Left to cherish her memory, daughter Kim (Anthony Neal) Braswell, son Eddie Lee (Aprill) Braswell Jr., sisters Jessie Fagan and Ruth Sherman, brothers James Williams and Robert Ammons, 9 grandchildren, 6 great grandchildren and a host of other relatives and friends. Visitation 9:00am and Funeral 10:00am Saturday December 13, 2014 at MARLAN J. GARY FUNERAL HOME, THE CHAPEL OF PEACE 2500 Cleveland Ave. Interment at Evergreen Burial Park. To Kim: So sorry to hear of the loss of your mother. Please know that my prayers will be with you and your family at this time. She will always remain in my heart and my times with her in my memories forever. May God Bless and keep you Eddie and Kim in this time. Look to the Lord and he will comfort you. If there is anything that you may need, PLEASE don’t hesitate to let me know. Kim and family, know that my prayers are with you. I will always remember Naomi smile and laughter she was a joy to be around. My love and prayers go out to the family. Auntie was a one of a kind woman. Tough as nails, but also compassionate. You will be missed, but celebrated throughout generations. Love from the Braswell-Jennings Family. This is to Daphyne, So sorry for the lost of your aunt. Although Bill has passed, he and I knew Eddie and his wife through your dad and mom. God bless. To Eddie and Kim I am sadden to hear about the passing of my aunt. God does not makes no mistakes. She’s at rest. God bless you and your families. My sincerest condolences to you Kim, I’m praying for you my sister. You’re strong and God will comfort you during your grieving. I’m so sorry that you lost your mom/ best friend. Your family is in my prayers Always. God will Never leave you Kimmy nor forsake you. I’m just a phone call away (Hugs) ! i am sorry for your loss . i know all to well the hurt and loss of a mother . i will said just walk with god it will get better. just hold on the love and god . you will get stronger in the days ahead. all my love to you and the family. I am so sad to hear of your Mother’s passing. My condolences to you, your wife, Kim, and the whole Braswell family.